The client is the largest physician-owned multispecialty healthcare system in Central Texas. Historically, they have been successful in the Central Texas area because of their focus on offering accessible, reliable, and convenient healthcare. The client covers many areas of healthcare including family practice, pediatrics, and internal medicine, but also has 21 specialties. The client’s successful system was losing market share to urgent care facilities popping up all over the Central Texas area. Urgent care offered the benefit of being able to book an appointment at any time of day for people who needed healthcare right away. To combat this growing problem, the client launched a 24/7 appointment booking system. Previously, the client had to be in business hours for customers to book appointments, but with their new system an appointment could be booked at any time of day, similar to urgent care. Along with this, the client launched an app to make accessing healthcare easier. The main goal of the client’s new systems was to make accessing healthcare more convenient. To push this message, the client decided to make a local play and run movie theatre trailer ads in very specific neighborhoods. The concern about these ads were that there is a lot to distract someone while in a movie theatre, and the ads needed to be more engaging than whatever else may be going on. The client had to figure out how to cut through all the clutter and distractions and talk about their new system and mobile app in an entertaining way. The client hired MindEcology to create a fun and entertaining commercial that talked about healthcare in a way that fit into the environment of a movie theatre. The client asked MindEcology to help with the strategy, concept, and production, and they were able to successfully do so. Healthcare is not an easy topic to talk about, but MindEcology was able to create an ad that made healthcare amusing. 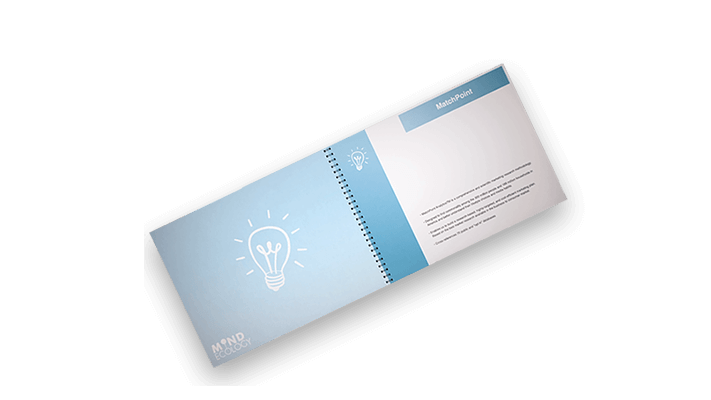 MindEcology came up with the concept, created the ad, produced it, and was able to help the client deliver their message in a distraction filled environment. 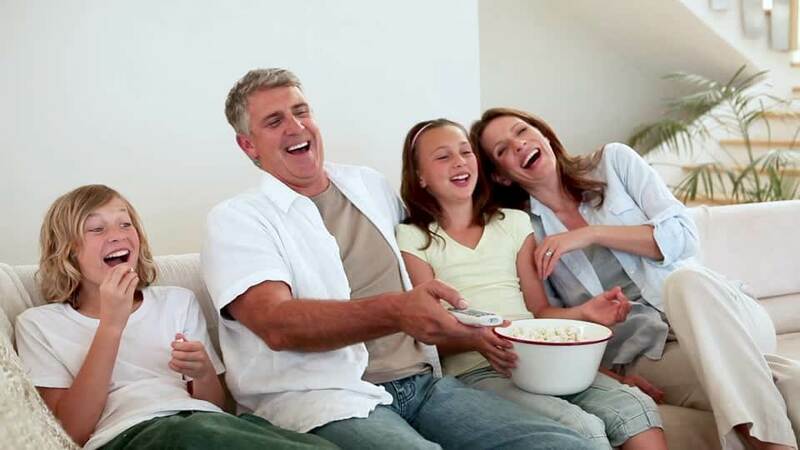 The ability to get a customer’s attention away from their phone, friend, or popcorn, and focus on a serious topic in a movie theatre is extremely difficult, but MindEcology was able to successfully do this by using creativity and humor. 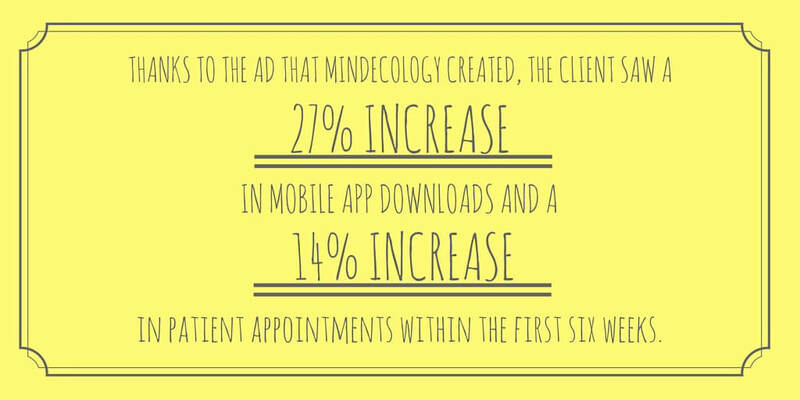 Thanks to the ad that MindEcology created, the client saw a 27% increase in mobile app downloads and a 14% increase in patient appointments within the first six weeks. This increased business helped the client to take back some of their market share from urgent care and deliver reliable service to customers all over the Central Texas area. Thanks to MindEcology’s creativity, the client is still thriving and providing healthcare to customers in need.